For as long as men and women have been feeling self-conscious about losing their hair, they have been searching for miracle cures for hair loss. And for as long as they have been searching for these cures, there have been people more than happy to take advantage of their insecurities by promising them results and selling them snake oil. Sadly, it is a practice that continues to this very day. At True & Dorin, our hair restoration experts understand that it can be difficult to separate fact from fiction when it comes to hair loss treatments. There are a lot of pills, serums, lotions, and homeopathic remedies out there that make big claims, and some of them cost quite a lot of money. Unfortunately, the vast majority of these hair loss treatments are schemes, pure and simple. They don’t work. The simple truth is that there are only two hair loss medications that are clinically proven to produce results: finasteride, which is marketed under the trade names of Proscar® or Propecia®; and minoxidil, which is marketed under the trade name of Rogaine®. Even then, these medications should not be considered an alternative to hair transplant surgery. They serve entirely different purposes. Hair transplant surgery is the only method of restoring your own living, growing hair in areas of baldness. In discussing the issue of hair medications vs. hair transplants at our New York, NY hair loss clinic, our hair restoration experts are careful to explain that both produce different results and that both can be used in conjunction with one another with excellent results. Patients need to understand the facts about these hair loss treatments so that they can make the most informed and confident decisions possible about how to proceed. 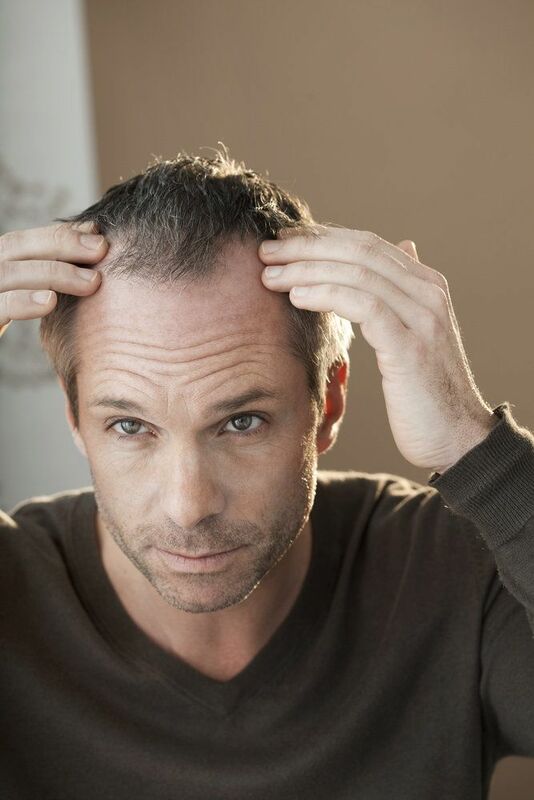 There is no medication, including finasteride and minoxidil, that can cause hair to regrow in balding areas. It would be truly wonderful if such a medication existed, but if it did, who would ever elect to be bald? What finasteride and minoxidil are able to do, with varying degrees of success, is slow down and possibly even halt the progression of hair loss. Finasteride in particular can also help the hair that is there to grow in thicker and stronger, making it more visible. As a result, many people are led to believe that they are “growing new hair.” In reality, their existing hair is simply improving in quality. For people who are only beginning to lose their hair, finasteride therapy with minoxidil as an adjunct may be an effective means of allowing them to maintain good hair density for years longer than they otherwise would. For those who have sustained significant hair loss, however, these medications will only allow them to preserve the hair they have; they will not allow them to regrow hair in areas of baldness. However, our hair restoration experts may recommend that such patients combine hair transplant surgery with hair loss medications so that they can prevent further balding in areas adjacent to the treatment areas. To learn more about hair medications and hair transplants, please contact True & Dorin today.